The Queen kicked off her Diamond Jubilee weekend at Epsom Derby as gun salutes sounded around the country to mark the start of the celebrations. 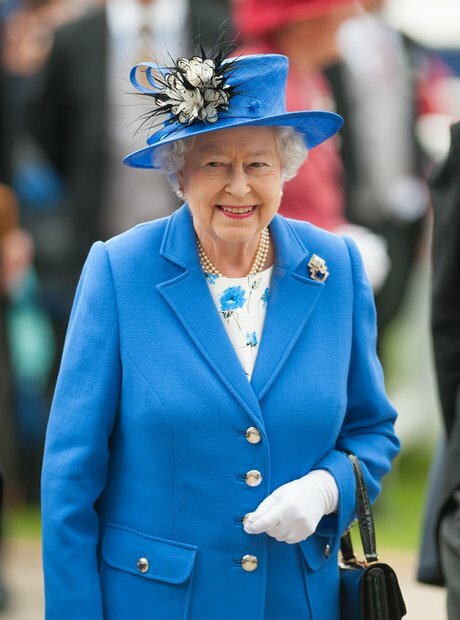 Queen Elizabeth II arrives for the Investec Derby Day of the Investec Derby Festival at Epsom Racecourse. A racegoer wears a fancy dress hat during Derby Day of the Investec Derby Festival at Epsom Racecourse. Queen Elizabeth II (centre) and the Earl of Wessex during Derby Day, the second day of the Epsom Derby horse racing festival, at Epsom in Surrey during her Diamond Jubilee celebrations. A racegoer wears a Union Jack print jacket during Investec Derby Day of the Investec Derby Festival at Epsom Racecourse. Katherine Jenkins after performing the national anthem during Derby Day of the Investec Derby Festival at Epsom Racecourse. Queen Elizabeth II with her son the Earl of Wessex (right) during Derby Day, the second day of the Epsom Derby horse racing festival, at Epsom in Surrey during her Diamond Jubilee celebrations. Katherine Jenkins watches from the grandstand during Derby Day of the Investec Derby Festival at Epsom Racecourse. Katherine Jenkins (centre) watches from the grandstand during Investec Derby Day of the Investec Derby Festival at Epsom Racecourse. St Nicholas Abbey (centre) ridden by Joseph O'Brien wins The Diamond Jubilee Coronation Cup during Investec Derby Day of the Investec Derby Festival at Epsom Racecourse. Queen Elizabeth II (2nd left) with the Duke of Edinburgh (3rd right) and Princess Beatrice (2nd right) during Derby Day, the second day of the Epsom Derby horse racing festival, at Epsom in Surrey during her Diamond Jubilee celebrations.